The automotive market is undergoing a profound technology-driven transformation and there are major implications for marketing. As focus shifts from ads to experiences, where should marketers place their bets? A car brand throwing a big budget at glossy, exotically located ads used to be the sign of an automotive company doing well, with agencies desperate to get onto its pitch list. If anything, in today’s market it’s a sign of the complete opposite. There are some indications that consumers actually associate brands and glossy advertising spend with a lack of innovation. 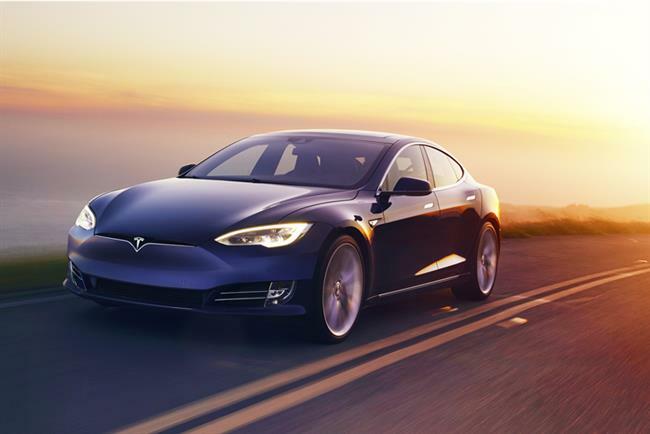 Tesla – by definition a forward-thinking, innovative brand – actively shuns this type of advertising, for instance. 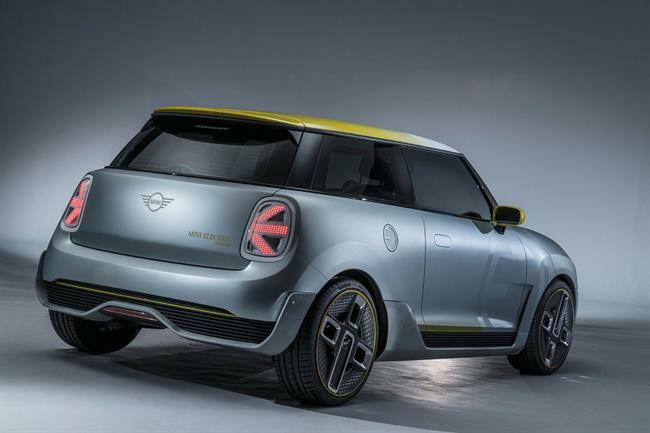 Innovation and creativity for modern, future-facing car brands is entirely about the customer experience, with all product development and marketing aimed here. Arguably, as Tesla shows, if you use data to get customer centricity, buyer experiences and digital services right, you can win market share without even advertising. But, while this shift from product to experiences and services has been talked about as the way forward for a decade now, the industry has generally embraced what it actually means slowly. "It’s a big shift for an industry that has been entirely product-centric, and still is, for as long as cars have been around," says Andy Moore, Designer at Fjord, part of Accenture Interactive. "We’re moving to a situation where the car, the product, is not the centre of everything. It is just part of a bigger ecosystem of getting around and everything related to it." As Accenture’s research shows, the move from building product to selling experiences and mobility is set to continue apace and by 2030 a significant part of the automotive industry profit is going to come, not from vehicle sales, but from other services that exist around the car industry. "It means we’re not marketing to sell a product anymore," says Gabriel Seiberth, managing director, Accenture Digital. "We’re marketing to demonstrate an experience that goes far beyond the traditional point of purchase. And it may be that this experience is one where there is no ownership involved and, instead, it’s about shared models and mobility as a service, rather than mobility as a product." Joerg Poggenpohl, global head of digital marketing at BMW says that this shift affects the product but the brand’s identity stays: "We see ourselves as leading shapers of the future of mobility. Autonomous, electrified and connected driving as well as new and innovative mobility services will be the major topics. But, the promises of the BMW brand will remain unchanged. BMW stands for pioneering innovations, aesthetic design and a premium approach." He sees BMW as a "premium mobility provider" that delivers in a "premium experience in every service and every product". It’s a long way from engine sizes. One of the other main factors forcing change in the industry is the ‘Amazon effect’: customers have come to expect such swift, seamlessly integrated experiences when researching and buying products and services in other industries that they are demanding (but not generally receiving) the same level when it comes to mobility. For many customers, too, their idea of what constitutes a ‘premium’ experience is changing. Just as Amazon Prime’s one-day delivery service is its definition of premium, the definition of premium in mobility today is just as likely to be a taxi turning up in minutes, as it is owning a high-spec car. 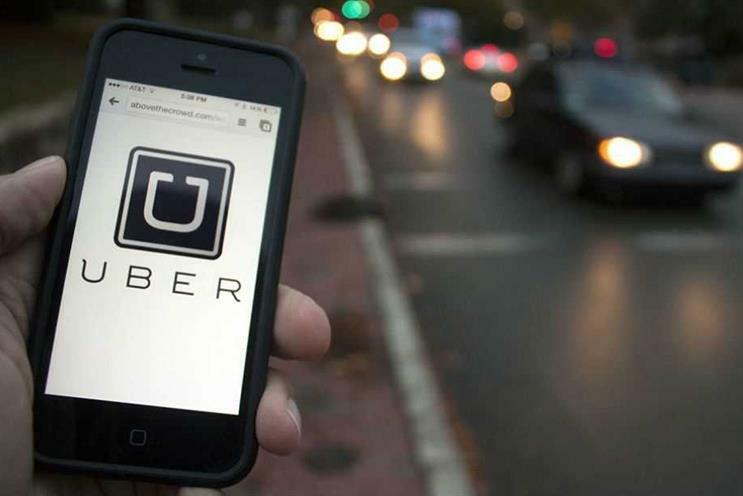 New tech entrants to the sector – from the on-demand taxi service Uber to the car-sharing app Zipcar – have identified these new customer needs and are quickly establishing their offerings as the ‘new normal’ for modern, affluent and, mostly, city-living customers. At the same time, they are calling into question some of the old values on which the car industry built its reputation. For example, buying a car was a status symbol but today’s consumer – especially urban millennials – is more interested in efficiency, value and connected car experiences. And this growing band of consumers with a new perspective on mobility is changing the market. Sales data shows that increasing numbers are choosing alternatives like car-sharing or affordable online taxis, instead of owning a vehicle: car sales declined in the UK in 2017 after five consecutive years of growth, according to trade body the Society of Motor Manufacturers and Traders (SMMT); registrations of new models dropped by more than 6% in January 2018. Forecasters predict that this decline will continue. Meanwhile, challengers like Lyft and incumbents like Daimler report high growth numbers for their mobility-as-a-service offerings. First and foremost, car companies must become more customer-centric. OEMs have to stop talking and start doing: these changes aren’t hypothetical anymore. As with many engineering-based industries, the model has traditionally operated on the basis that you start with engineers creating a product, then instruct the marketing department to tell the world, usually via a big, glossy ad shouting about the spec from horsepower to start-up speeds. "With the shift to digital, this old process doesn’t work. It’s like making a hammer and then telling your marketers to go out and find you some nails," says Seiberth. "In today’s market, you have to go out and find out what people want fixed to the wall first. And whether or not they really need a hammer, or maybe something else." The shiny brochures or spectacular TV clips are not going away completely, though, according to Seiberth, "the ‘hardware product’ will still have a role to play in building the brand and so will the creative work around it". Poggenpohl confirms that "when it comes to building brand, BMW focuses on the new but doesn’t forget the traditional". "We see a shift from traditional media towards digital media, especially when it comes to the first contact between brand and customer. We are strongly engaged in digital formats. We have more than 40 million fans and followers on Facebook, Instagram, Twitter and YouTube. "But the shift towards digital formats does not mean we abandon other channels. TV is still relevant. We are closely following new technologies and opportunities, such as addressable TV, that allow us to deliver customised and highly relevant content to specific audiences." And yet, companies are also realising "that they have been over-investing in advertising, and under-investing in the rest of the customer journey" explains Gabriel. "So they’re changing and shifting budgets, not only to newer channels, but also out of advertising." Technology helps some of that shift – with firms like CGI Specialist Mackevision offering data-driven digital twin solutions that allow OEMs to create advertising imagery and even entire TV spots from CAD data and stock footage – effectively saving hundreds of thousands in production cost. And there are early examples of where manufacturers are investing these savings: car brands are beginning to embrace the connected journey. Mercedes, for instance, is encouraging its owners of old models to convert for free. 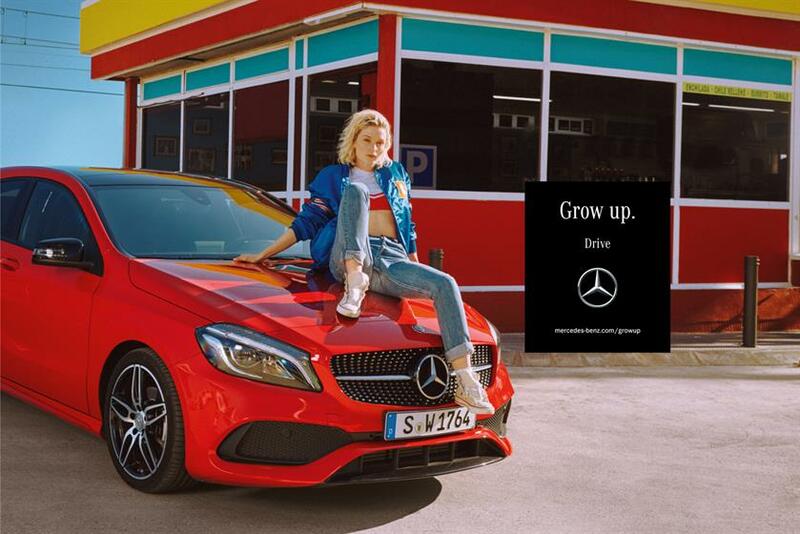 "Connected tech isn’t just something that’s coming, it’s something that can be fitted to your faithful and favourite old E-Class now," says Rob Halloway, marketing director, Mercedes-Benz Cars UK. "Our MercedesMe adaptor plugs into a car and opens up with the world of connected cars. It can tell you the mileage, fuel consumption, parked location, your last route." As Moore says, "we’re at the point where the vehicle is a context, a moving extended smartphone that you sit in, that has the potential to provide in-car experiences, driven by making sense of data". But, at the moment, that in-car experience is a long way off the seamlessly integrated one of our smartphones. "Think about how smooth your iPhone experience is," says Seiberth. "Then think about the in-vehicle infotainment system in your car. It’s probably not as good – yet. 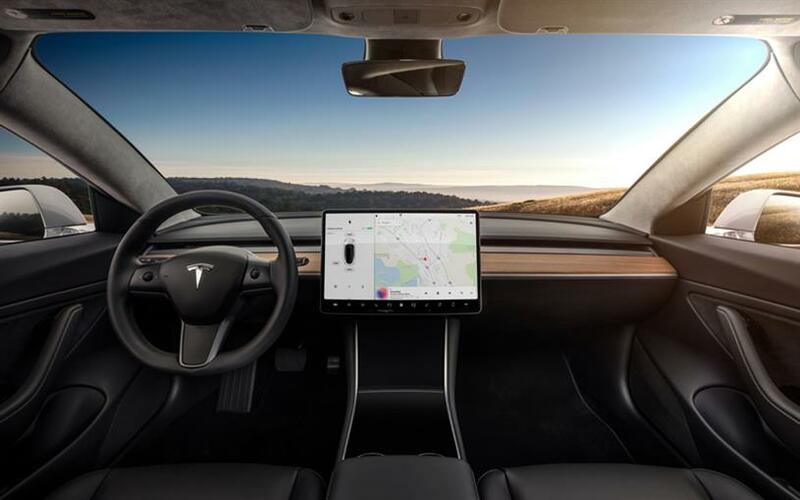 That’s just one example for where car companies need to invest now"
Again, this is where Tesla has put its focus, leading the charge on creating dashboards that are more in keeping with smartphone and connected functionality. In fact, Google, Facebook and Apple’s expertise in providing these seamless experiences is one of the reasons they pose the biggest threats to traditional OEMs. Google are approaching the automotive experience afresh, as another piece in the journey through a customer’s day, a journey it wants to ‘own’. Because users are so familiar with Google, Google is in a strong position to create a seamless in-car infotainment system, Android Auto; it makes perfect sense. "We have to look at connectedness holistically," says Mickey Kataria, product manager for Android Auto at Google. "Users interact with multiple devices daily and we need to consider the context, environment and value-add for each of these surfaces. Android Auto makes it easier for people to focus on driving without needing to learn a new infotainment system. Google services such as Google Maps and Google Play Music already match well with driver needs." But it’s not just the in-car experience that needs to be seamless. It’s also how the in-car experience relates to the rest of a consumer’s life. Car brands need to think beyond the car. Moore agrees that there is much merit in brands "being curators of this complex world" and "filtering what this all means for consumers". The brands that are able to simplify experiences are those that will win out. Finding ways to do that isn’t necessarily easy, of course, but some early experiments in this are already emerging. Brands like Chevrolet, Porsche or Volvo, for example, have begun to offer "flat rate" rental models that remove the friction from the usual rental and leasing process. While there has been much talk of the need to be truly omnichannel, in practise there is a dire lack of integration between the online car marketing experience and the offline one in the dealership. Marketers have recognised that, because consumers are doing so much research online, they need to make their online experience more sophisticated. As a result, some automotive brands use new technology such as augmented reality to create vivid, life-like experiences online. For instance, the BMW i Visualiser, created by Accenture, brings the showroom to life for customers digitally. But despite these leaps in the virtual world, many manufacturers are still struggling to ensure that the transition to the real world is smooth. Seiberth says: "There’s still a disconnect between the part of the customer journey you can take with the OEM and the part which you take at the actual dealership. Companies are investing in analytics and automation to bridge this, but they’re still in early stages." Recent Accenture research found that many car buyers still believe that their online and offline experiences are poorly integrated. Rating seamless integration on a scale of one to four, with four being the most integrated and one the least, they rated their experience on average 2.32. The time car buyers now spend online researching, rather than going into retail, threatens the dealership model. It’s also the reason some brands now enable customers to buy directly online. Peugeot offers a service where consumers order online in fewer than 30 minutes and, via its website, buyers receive a guaranteed price for part-exchanging their existing model. But the research predicts that the dealership will remain the linchpin of the customer experience: the report says that "the more ‘digital’ consumers get, the more they seek a rewarding physical experience". Seiberth says: "It seems that customers first research online, they discover exactly what they want, then they hit the dealership – they value the retail experience. They know you can’t replace it; at some point most have to touch the car, or get a test drive." The retail store experience is all-important; poor dealerships experiences are a missed opportunity. Again, car marketers should look to tech giant Apple. Since Apple invests time upfront to identify what customers want, there is no "hard sell" at an Apple store. Instead, the company staffs its store with ‘geniuses’, people to help and explain, not earn a commission. And car manufacturers are cottoning on. BMW is providing experts in flagship dealerships whose job is to help, not to sell, and BMW incentivises accordingly. Hyundai and Jaguar Land Rover, too, have created showrooms where staff aren’t under pressure to hit sales targets. Other manufacturers are experimenting with entirely new formats. 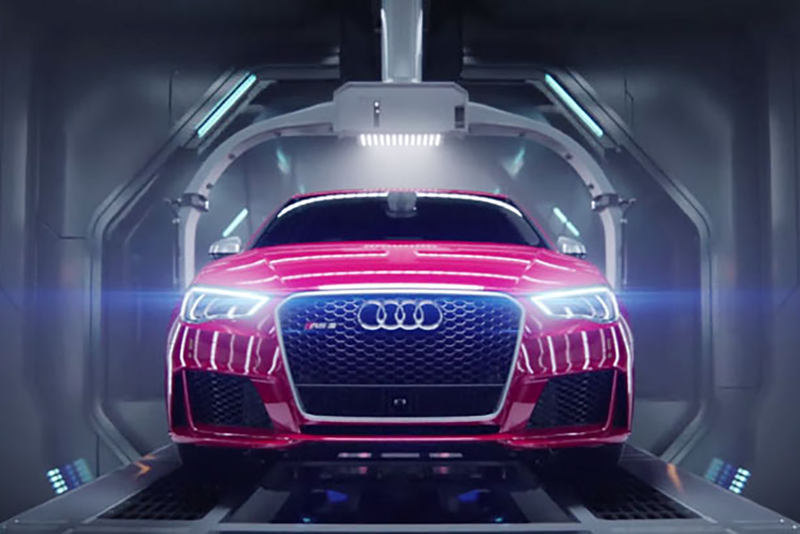 Brands like Audi or BMW mini are reacting to the fact that customers don’t like the trek to visit out-of-town dealerships anymore, and are setting up city-centre outlets modelled more on luxury clothes stores. These retail strategies offer a human touch that becomes increasingly vital in an ever-more automated world. This is a competitive advantage that niche, luxury brands like McLaren understand well: "We’ve always thought about ‘what experience do we need to create with the product?’," says Jolyon Nash, executive director, global sales and marketing for McLaren Automotive. "Our cars are not simply about getting from A to B. People who buy a McLaren want an experience. They want to be part of the McLaren family." Events like its one-make McLaren ‘Pure GT’ series races, where owners can meet drivers and fellow owners are key. "It’s not just about the drivers; it’s about their families as well. It’s a whole experience," he says. Experiences which use customer data to create personalised, hyper-relevant services will be most lucrative. Accenture projections state that by 2020, for an OEM with $55 billion in annual net revenues, digitisation could unlock more than $2.3 billion in new value – with both top- and bottom-line impact. The firm’s numbers suggest that those OEMs that move fast could boost profitability by 6.5% until 2020, and could be generating as much as $2.8 billion in new value by 2025. McLaren, for example, already offers "driver coaches" to its owners at track days, but in future this could be AI-enabled that drivers can switch on and off at will. "We don’t see autonomous operation as a threat," says Nash. "We can pick and choose which areas of automation to explore. We provide entertainment, not transport. We will be as relevant in a world where the routine is managed autonomously as we are now." 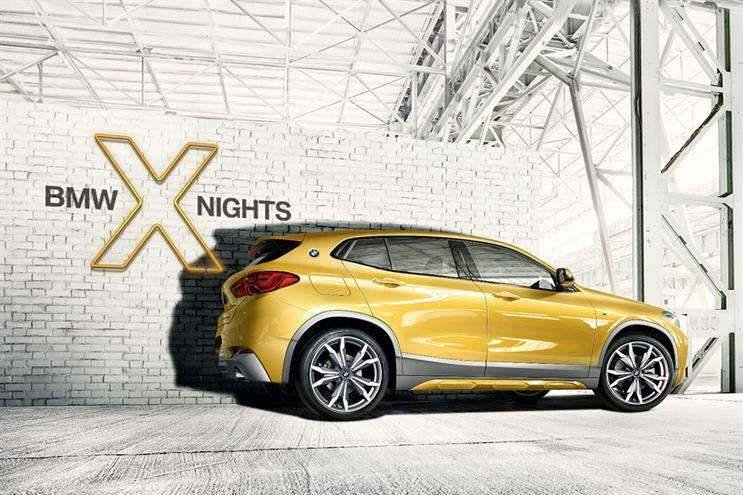 In marketing, BMW has set up an internal content studio. This not only creates a powerful digital brand home in the editorially driven bmw.com but also drives strategy. Poggenpohl explains: "We set up a data analytics centre as the base of everything we do in marketing communications. It allows us to identify trending topics at the very start of their buzz curve and integrate them into our communications within hours. Thanks to the data, we are also able to customise relevant content pieces for different target groups." But staying relevant will require taking this kind of personalisation even further. Imogen Pierce, global tech and innovation brand communications manager at Jaguar Land Rover, thinks that car brands must "build partnerships and new business models that have the flexibility to adapt to customers and offer a rich array of choice"
Self-driving, connectivity and shared mobility create opportunities for car brands to create "truly bespoke experiences that can adapt more readily to each customers’ lifestyle and expectations". For many companies, like Jaguar Land Rover, executing this requires clever collaboration with partners. Jaguar Land Rover has set up a dedicated investment arm, InMotion Ventures, and has invested in many ride-sharing platforms and connected services including Sheprd, FatMap and Lyft. It has launched Carpe, a short term, high mileage car subscription service and it has formed a number of partnerships with many brands including Amazon Alexa, Google Home and TuneIn. "This technology shift has meant that we've had to ensure our business is equipped with the right skills to adapt," Pierce says – and it’s even had an impact on recruitment. Speed is imperative because, as Google’s Kataria says, "car brands that innovate and provide users with the features they desire will be successful". Digital presents myriad opportunities, as well as threats, and marketers are in pole position both to take advantage and to minimise risk. Marketers can become a powerful force if they are the agents of change, especially when it comes to creating collaborative cultures necessary for success. "KPIs are not always linked to the best customer experience and organisations where they’re not, need to address that," says Joel Van Durme, managing director, Accenture Interactive. "Marketers have an important responsibility here to take ownership of what their brand means and how the customer experiences it. Every marketer in the sector is part of this change, whether they like it or not." What will social look like in the next 10 years?